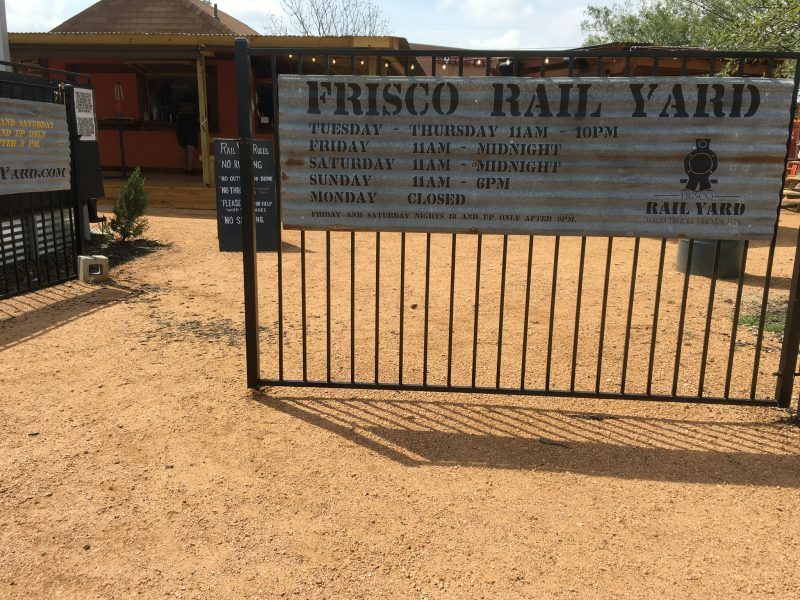 Have you been to the Frisco Rail Yard? It’s right across the street from our shop. That’s one of the many advantages to coming here to get work done on your vehicle! You can drop your car off here, and take an easy walk over to the Rail Yard! The Frisco Rail Yard is a patio area with several food trucks. Every day you can find all kinds of food trucks there, from tacos to burgers to Asian food—you name it, they’ve got it! Often our customers will drop their car off for an oil change or a similar fast service and go have lunch or an early dinner at the Rail Yard. Then when they’re done eating they walk back, pick up their vehicle and head home! The Frisco Rail Yard is also a great place to hang out on the weekends. It’s a fun place to take the family for a bite to eat (they have outdoor games), and it’s a fun place to take colleagues for a business lunch too! We encourage you to go see our friends over at the Frisco Rail Yard, and you can kill two birds with one stone by having some great food and getting general maintenance taken care of on your car as well! Hope this helps! We’ll see you at the Rail Yard!